Allegheny Design Services (ADS) is a highly respected structural and MEP engineering firm in West Virginia. They serve clients in West Virginia, Ohio, Pennsylvania, Maryland, Washington, DC, Indiana, Tennessee, and others in the United States. In 2014, ADS began a fully integrated inbound marketing plan with InnerAction Media. 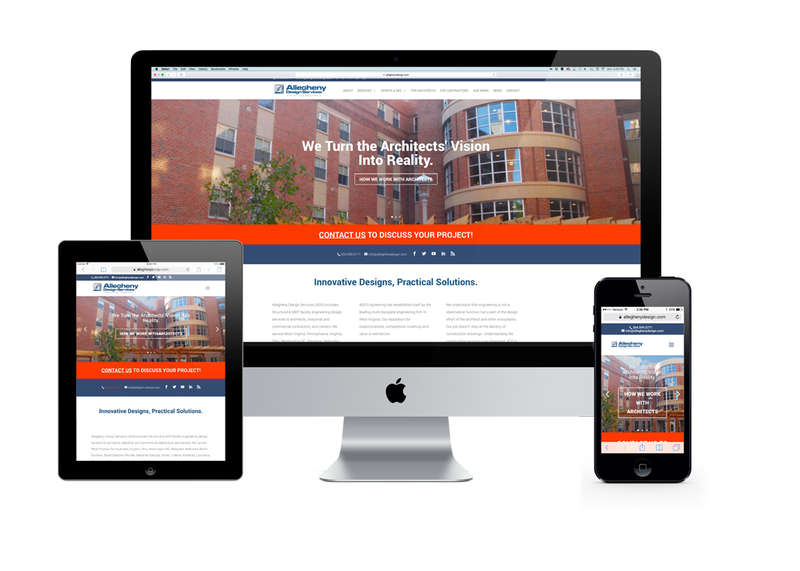 We utilized our proven intake process, our creative messaging process and our content development process to launch a high-performance, marketing-driven website, custom video production, client testimonials, and integrated social media strategy. We target specific audience personas and deliver useful, relevant content designed to educate perspective clients on a wide variety of topics in the engineering, architecture and construction space. The results are quality Google rankings for their targeted keywords, engaging blog content, quality lead generation and increased revenues. Services provided: Website, new logo—ADS Sports & Recreation, new color scheme and brand identity, inbound marketing, social media, video, media releases, blogging, animated graphics, trade show exhibit, and more. Click here to learn more about marketing in the construction industry.